No one wants grey hair, whether this is just a few grey hairs or completely grey. Getting rid of grey hair can take decades off your appearance and make you look and feel younger than you have in years. Dying your hair or hair colouring is probably one of the quickest and easiest ways to shed a few years from your appearance without going through expensive treatments. If you dye your hair you’re not alone. It is thought that around half of all women dye their hair, and it is also becoming increasingly common for men to use hair dye in order to conceal greying areas. A lot of people like to colour their hair to either change their look or cover up greys, but what most of us don’t realize is that many of the ingredients in some hair colouring products may be hazardous to human body, causing skin allergies, cancer and possibly other terminal diseases. Due to this reason, you should be careful about anything that is applied to your scalp, since the scalp has one of the richest blood supplies of any part of the body. This means that any chemical that’s capable of being absorbed through the scalp will have a high density of channels to reach other parts of the body. It’s believed that permanent hair dyes have the capability of being absorbed through the scalp and, thus, the ability to travel via the blood stream to other parts of the body. Nowadays it’s not uncommon to see words like “natural” and “organic” on beauty products, but buyer beware when it comes to getting your hair colouring product. A botanic blend doesn’t guarantee safety, so be sure to check its contents to be sure your strands aren’t soaked in a toxic cocktail for the sake of colour. 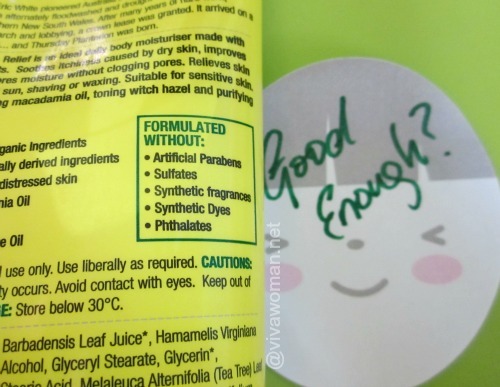 So, what ingredients you should look out for? P-phenylenediamine or PPD – This is used to break the hair shaft so it holds colour without washing right out with your first shampoo. PPD can often cause serious skin irritation and is suspected of causing cancer. P-paratoluenediamine, or PTD – This is often used as a substitute for PPD but may be doubly toxic in comparison since its smaller molecular size may require two times the amount of pigment to achieve the same colour results. Resorcinal – This is another common ingredient in conventional hair colouring products. It is a skin irritant, toxic to the immune system and a frequent cause of allergic reactions to hair dyes. It is also an endocrine disrupting chemical. This means that it can interfere with the normal production of bodily hormones, causing problematically high or low levels of certain hormones. Coal tar – This is used to produce the synthetic dye m-aminophenol. It can irritate the eyes, mucous membranes and skin on contact, and cause blindness in the worst cases. Coal tar is carcinogen that has been linked to neurological issues and hyperactivity in children. Persulfates – These include potassium, sodium and ammonium sulfates, and they are common ingredients in strong bleach as well as in hair dye. Concentrations of 17% and above can irritate the skin, but many dyes actually contain concentrations that are around a staggeringly high 60%. Several studies have shown that in addition to causing painful skin problems, inhaling persulfates is also capable of causing asthma and lung damage. Ammonia – This speed up the reaction of dye with your hair by opening the pores of the hair shaft pores so the dye can bond to the strands. Inhaling the fumes of ammonia can provoke persistent coughing and cause irritation to the nose and throat. Besides the potentialbody damage, the chemical is certain to wreak havoc on your hair. Parabens – They are used as a preservative in hair dye and other beauty products. Four of the most common ones are butylparaben, isobutylparaben, methylparaben and propylparaben. They are dangerous because they act like estrogen hormones when absorbed into the skin, interfering with the reproductive system, contributing to breast cancer and causing the early onset of puberty. Hydrogen peroxide – This is a corrosive chemical that is found in products that are designed to bleach the hair. Tests conducted on animals have revealed that it is toxic to the digestive system, the lungs, and the nervous system. It is also capable of damaging your DNA, which some researchers suspect will increase your likelihood of developing cancer. 4-ABP – This is found in many hair dying products because it is a common byproduct that is produced during the process by which dye is made. Several studies have shown that there is a strong correlation between this chemical and an increased risk of developing cancer. Luckily for those of you who want to dye your hair a shade of brown, 4-ABP is seldom found in brown dye (but it is frequently found in blonde, red and black dye). If you are concerned about the safety of hair colouring products, what are your alternatives? Adding highlights would also be a safer option since you’re not applying as much of the colouring agent directly to the scalp. You can also use henna to dye your hair. Henna is an extract from the henna tree which is native to northern Africa, western and southern Asia, and northern Australasia, in semi-arid zones and tropical areas. It produces the most dye when grown in temperatures between 35 and 45 °C (95 and 113 °F). Henna is red in its natural state and using it for hair colouring will normally make hair redder unless you add other additives. With the addition of walnut plant dye or coffee, it can be brown. With the addition of chamomile, saffron, or senna, you can use henna to dye your hair blonde. If using just the pure henna, blondes will gain a natural red colour, redheads will boost their colour, brunettes will become auburn, but those with a full head of grey will only get orange hair. If you have 10% or less grey hair, henna will dye the grey so that it looks like highlights. When preparing to use henna in hair, buy from a special store online, a beauty store, or possibly even a Middle Eastern specialty shop. You will need 100 grams of henna if you have short hair, 200 grams for collar length, 300 grams for shoulder length, and 500 grams for waist length hair. You will be able to buy the henna prepared or in a powder which will come with directions on how to prepare. Pour the henna powder into a plastic container. Mix in just enough citrus juice to create a paste. Cover the container with plastic wrap and allow it to sit overnight at room temperature, around 70 degrees F. This allows the dye to release for long lasting, vibrant results. It can be really messy when you are using henna to dye your hair. Therefore you should drape your shoulders with a towel and wear plastic gloves. It’s a good idea to do a test on hair from your brush before actually dying your entire head. Start at the bottom layers of your hair and work your way up, beginning from the nape of the neck. Keep parts not ready to be dyed in a clip on top of your head. Apply the henna paste to thin strips, one at a time. Apply evenly. Keep doing this until all your hair is covered. Wrap your hair in saran wrap or a shower cap. Now you must wait two to four hours. Rinse your hair with cold water and a good conditioner. This will seal the hair shaft and make it shiny and healthy looking. Rinse until all of the paste is out. This will give you a youthful hair for 6 weeks, after which you have to repeat the procedure. Now that you have learned how to use henna to dye your hair and if you are ready for more ideas on how to reverse your grey hair, click on No More Grey Hair.